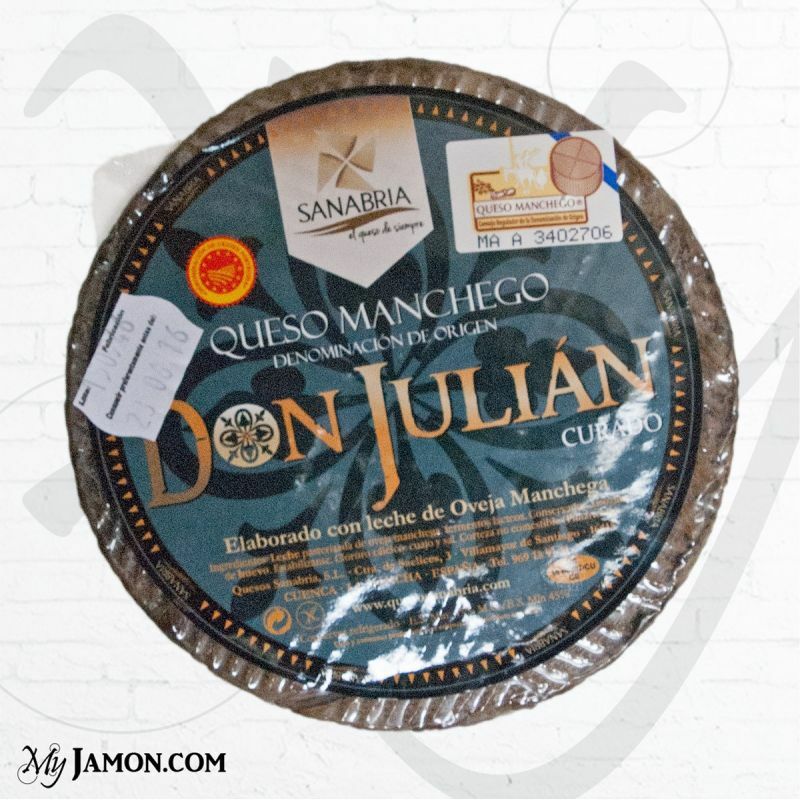 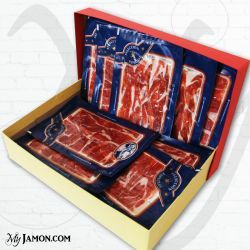 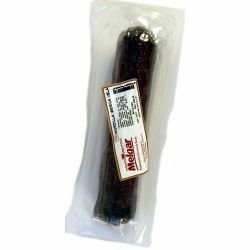 Don Julián DOP cheese comes from autochthonous sheeps from the La Mancha zone, it is gluten free product that has been seasoning for 6 months and its the weight is about 1.1 kg. 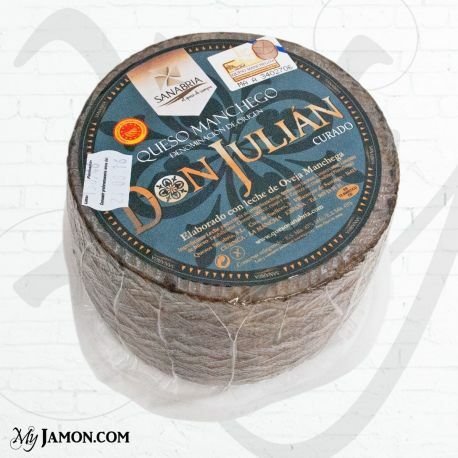 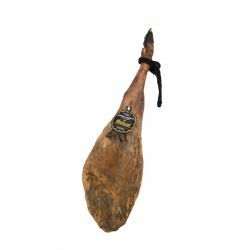 Don Julian dop aged cheese is a product elaborated by the Sanabria family, which is characterized by its almost thirty years of activity in the town of Villamayor de Santiago, in the province of Cuenca, in the the area of Castilla la Mancha. 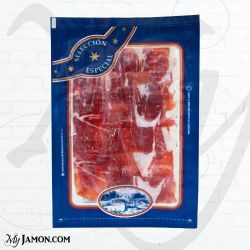 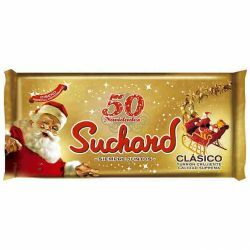 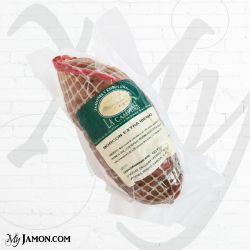 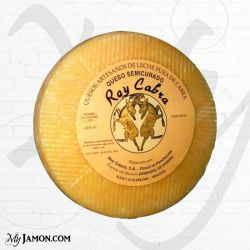 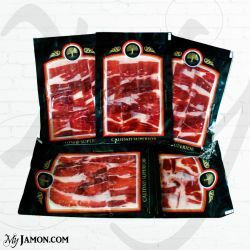 We recommend you to marry this cheese with Serrano ham, with little chorizo sandwiches in Spanish called montaditos or with various cured Iberian products.